Blogging on LatAm may or may not resume. A row has broken out between relatives of the late Mexican artist Frida Kahlo and the corporation which claims it holds the rights to her image. 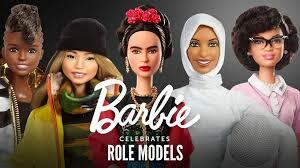 It comes after the toy company Mattel launched a range of new Barbie dolls based on “Inspiring Women” – Kahlo among them. In a statement, the family insisted Mattel was not authorised to base a doll on Kahlo. But both the Frida Kahlo Corporation and Mattel have rejected the claims. The artist with the famous unibrow was famous for her self-portraits and became a feminist icon. Since she died in 1954, her image has generated an array of consumer products, from tequila to lip gloss. I don’t like it, because of a different reason: Kahlo was a devoted communist. I also don’t like the idea of dolls as role models, but Kahlo’s communism by itself is reason enough.